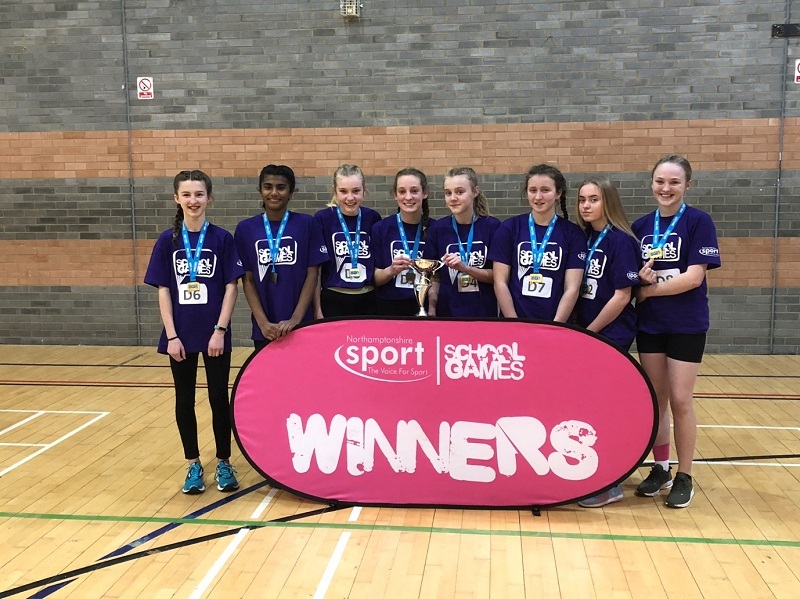 On Tuesday 20th February Sponne took combined Yr 7 and Yr 8 teams to the County Sportshall athletics Championships which were held at Kettering leisure village. 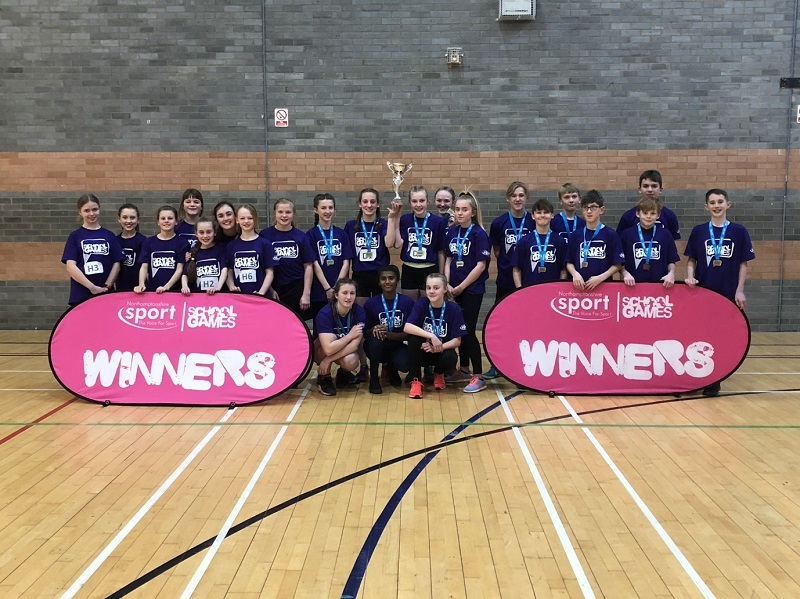 In Sportshall athletics, the athletes take part in a variety of running, throwing and jumping events inside a sportshall. 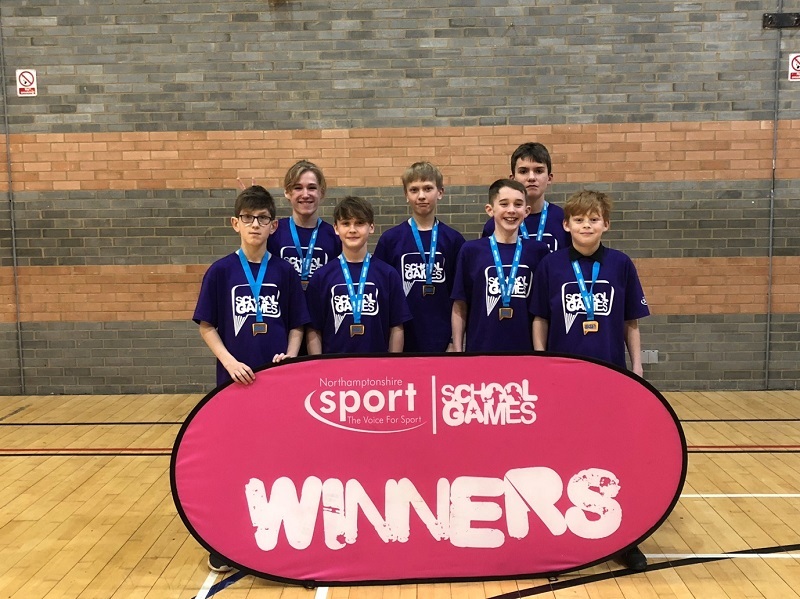 The boys had qualified from the South Northants regional round in third position but they excelled in all areas to finish in bronze position out of the whole County. A superb team performance with special mention to Nathan Trim who was outstanding in all his events. The girls “B” team, made up solely of Yr 7 athletes had incredibly finished in second position – behind Sponne A, at the regional round, and although they found the competition against the physically stronger and more mature athletes tough, they produced a string of outstanding performances to finish agonisingly outside the medals in 4th place. Special mention to Hayley Dimond and Amber Salkeld who were both superb. The Yr 8 girls team looked impressive from the off, with numerous victories both on the track and the field. They ran out eventual winner by over 40 points – a truly magnificent performance from the all the girls!